Hartzell will once again be the exclusive provider of propeller systems and governors for all new Cirrus propeller-driven airplanes. The original agreement for aircraft propeller manufacturing between Hartzell and Cirrus dates back to 1996. 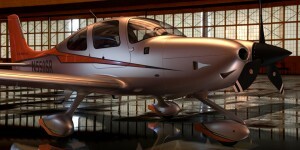 Hartzell’s composite propellers were a decisive factor in the successful launch of Cirrus’ SR22 aircraft. Renewing this contract reminds us that great innovators work better as collaborators than competitors. Hartzell has led the way in the development of composite airplane propellers. We produced the very first Hartzite composite prop 70 years ago, and we haven’t slowed down since. Hartzell is proud to share our history of innovation with Cirrus, which has saved numerous lives with their ingenious Cirrus Airframe Parachute System. The extension of any contract is great news, but extending relationships that move the aviation industry forward — that is really something special. Congratulations to the many individuals at Cirrus Aircraft, and here in Piqua, Ohio, that made this possible. Let’s celebrate five more years of Hartzell propellers guiding hundreds of Cirrus SR20, SR22 and SR22T aircraft into the skies.